Throughout his career, Slash has used the Cry Baby to create his trademark epic solos that he weaves into his groundbreaking gritty, blues-influenced rock. 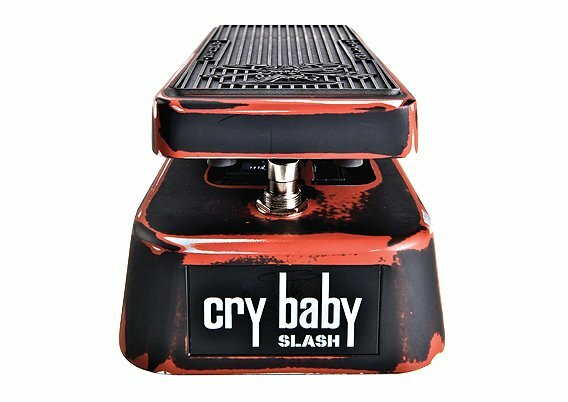 Throughout his career, Slash has used the Cry Baby to create his trademark epic solos that he weaves into his groundbreaking gritty, blues-influenced rock. 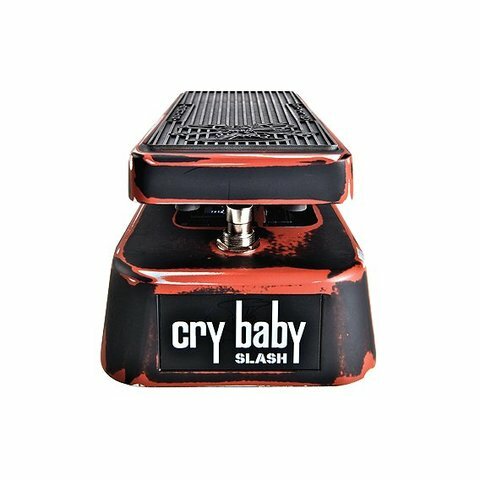 We worked closely with him to design the Slash Cry Baby Classic, custom-voiced for the raw, expressive sound that influenced a generation of guitar players. Tuned to a lower frequency and featuring a custom-wound resonance inductor, this wah- wah has a huge dynamic range and a wide sweep. Two side-mounted blue LEDs indicate ON/OFF status, viewable from any angle onstage, so you can always tell when the effect is on. The Slash Cry Baby Classic also features high quality components, such as a true hardwire bypass switch and a long-life pot, and comes in housed in a heavy duty die-cast casing featuring custom Slash artwork and a distressed hot-rod paintjob.